Looking for a new way to come up with a solution for your community? 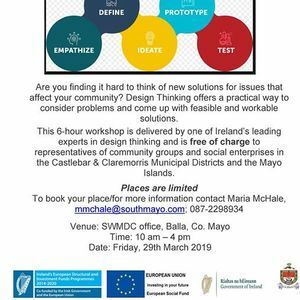 Design Thinking might be it! This person-centred and pragmatic approach is a new way of coming up with solutions in communities. 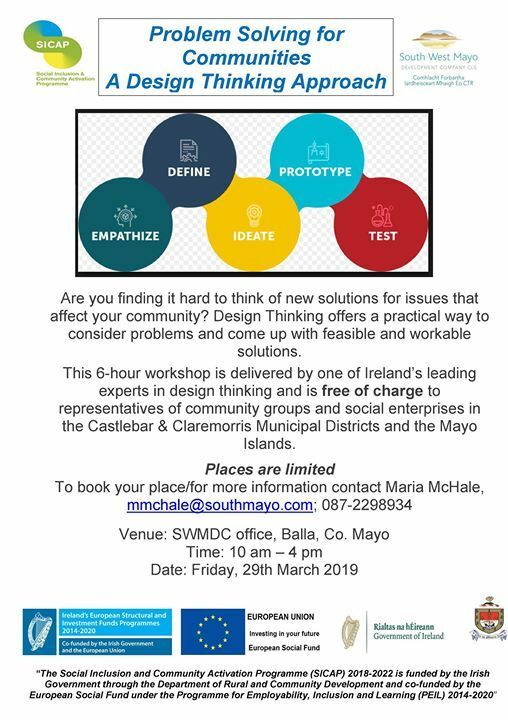 To find out more information, or to book your place, contact Maria McHale, bW1jaGFsZSB8IHNvdXRobWF5byAhIGNvbQ== or 087-2298934. South West Mayo Development Company Ltd.